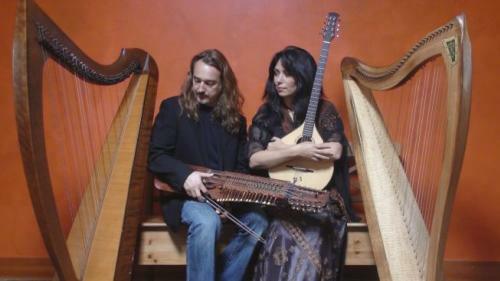 Lisa Lynne & Aryeh Frankfurter are a Celtic harp and multi-instrumentalist duo. They share a background as progressive rock musicians who later discovered a love for folk and world music on acoustic instruments. 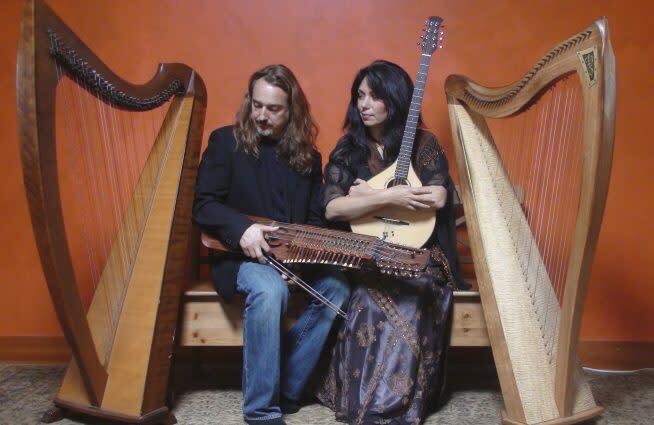 They are veteran street performers who hail from Oregon and tour extensively playing fine performing arts centers and venues around the US, both as a duo and as collaborations with some of the biggest names in folk and world music. Audiences are spellbound and enchanted with their unique show of breathtaking music both traditional and original, with remarkable stories entwined.